Could Kutaragi be about to revolutionise a whole new market? If you've wondered what PlayStation creator Ken Kutaragi has been up to since he retired in 2007, then puzzle no more, as there's news on his new venture in Tokyo. The Nikkei business newspaper says the PlayStation inventor is working with a so-far-unknown technology startup called Cyber AI Entertainment and that he is "developing new internet technologies." 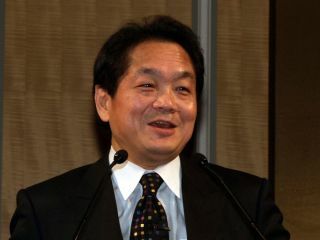 Although facts are thin on the ground, the report says that Kutaragi owns 90 per cent of the new venture and is its president, the same position he held at Sony until he was moved upstairs in 2006. Sources say his interest in cloud computing could mean the new company will be involved in some kind of 'access-anywhere' media service, but we'll realistically just have to wait and see what the 'Father of the PlayStation' is going to bring to his next party.